Directions: From the Bear Gulch day use area, take the High Peaks trail, which is a 6.5 mile loop and is a moderately strenuous hike. 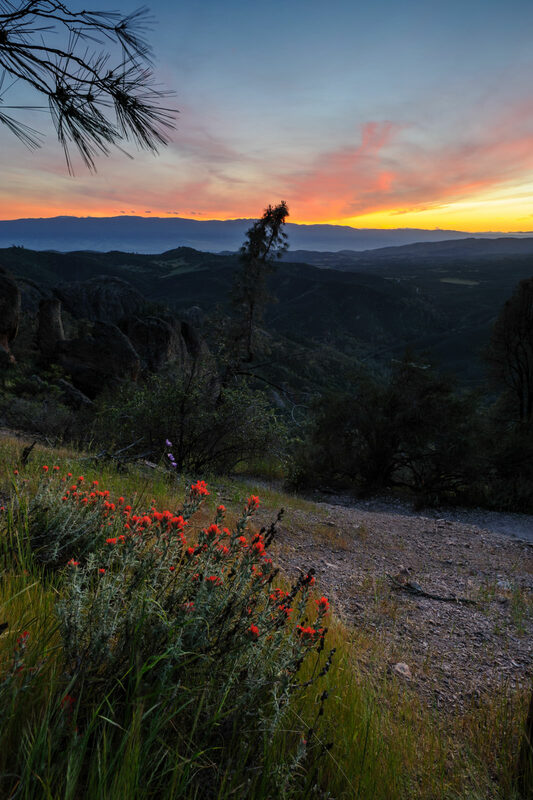 To reach Bear Gulch day use area, enter the Pinnacles National Park from the east side entrance, which is situated on CA-25, about 30 miles south east of the city of Hollister. The city of Hollister is approximately 90 minutes of drive from San Francisco. 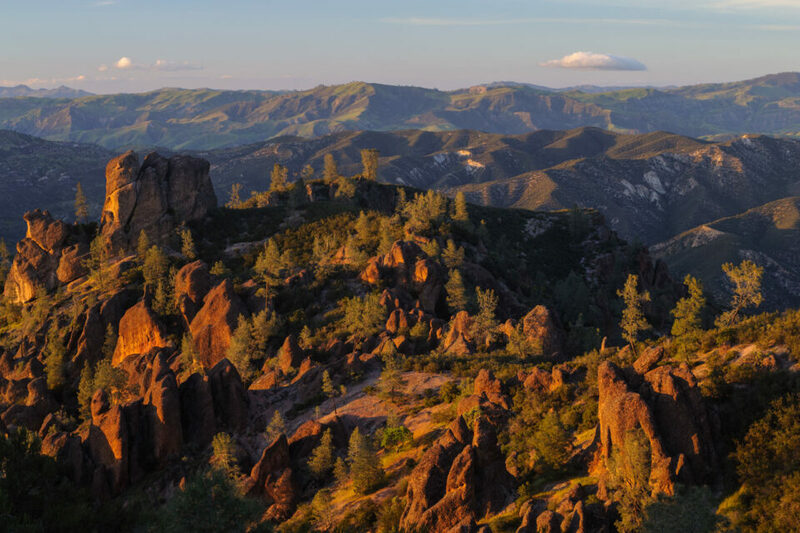 Pinnacles National Park (previously a National Monument) became the youngest National Park of United States. This is now the closest National Park to the SF Bay area and is a must visit for hikers, nature lovers and photographers. I first hiked the High Peaks Loop trail back in April, 2011. We chose a full moon night and started our hike around 3 pm. 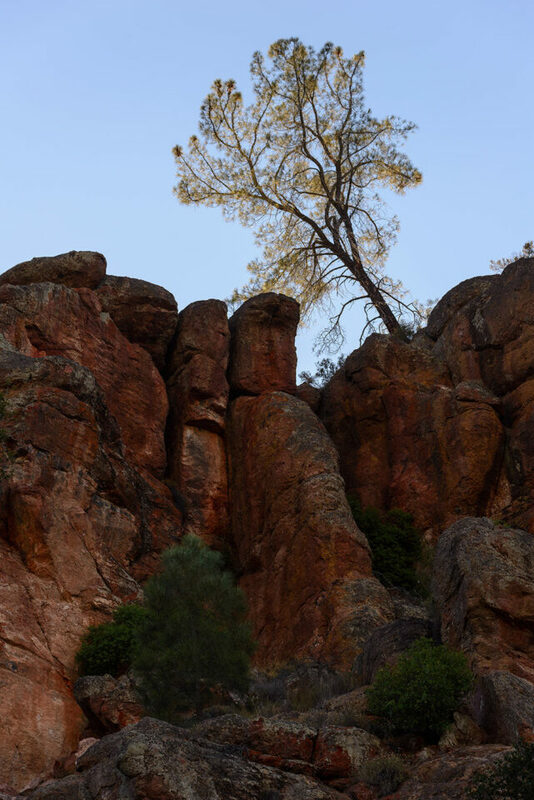 The idea was to reach the top of the Pinnacles around sunset, photograph the last light from the top and then loop back via the ‘Overlook’ point to make some night photos. The trip went well and I returned later for more in subsequent years. 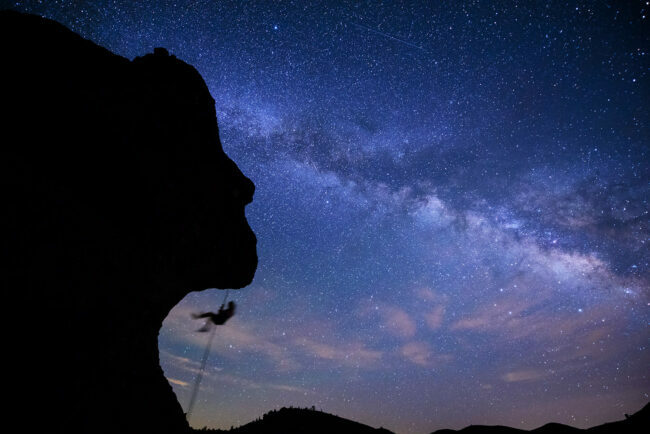 Last year, I made some cool Milky Way photos here, thanks to my rock climber friends who agreed to climb a rock late in the dark. 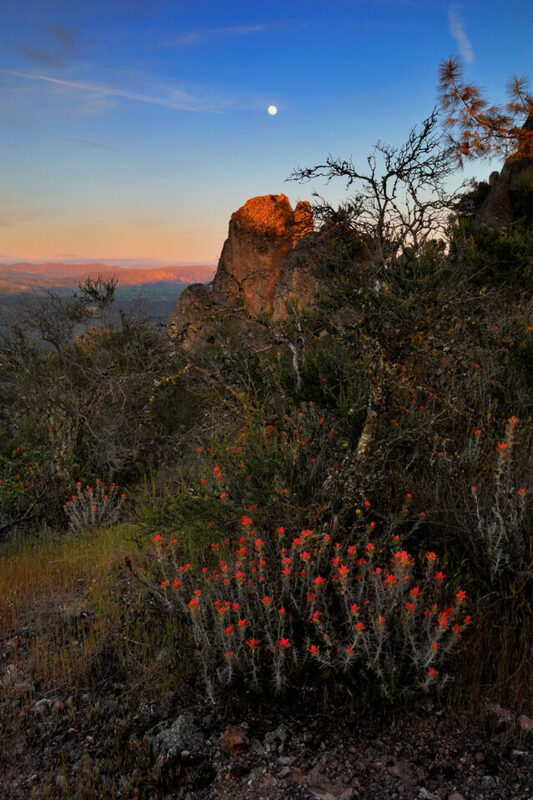 Overall, this loop is the best way to experience the Pinnacles National Park. Pinnacles can get really hot so always carry extra water. Carry a flashlight if planning to hike back in the dark. The trail can be little rough in some places so good hiking shoes/boots are recommended. You can always make this hike a little longer by taking the Bear Gulch Cave trail and loop back into the High Peaks trail. This option is recommended if the caves are open as they make for an interesting side trip. If hiking the trail from late afternoon, I will recommend doing this in the clockwise direction. Instead, if want to photograph the Pinnacles in morning light, start in the anti-clockwise direction and reach the ‘Overlook’ point at dawn, when the rising sun will paint the Pinnacles peaks with golden light. 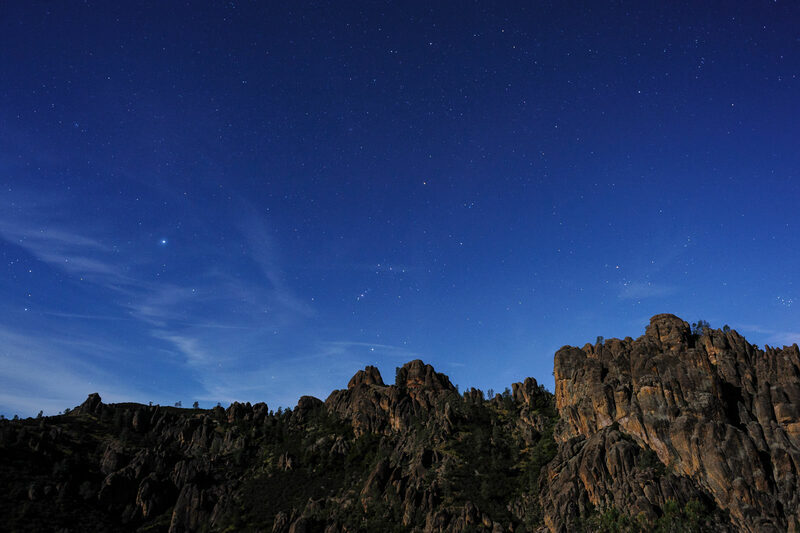 Pinnacles is one of the best places near the SF Bay area to photograph the night sky as there is little light pollution here. Also, there are plenty of interesting rock formations to serve as striking foregrounds. Lens recommendations: A wide angle zoom: 18-35 or 14-24 mm, a 50 mm prime and a 70-200mm zoom will work well and keep you covered. The zoom comes in handy in making creative telephoto landscapes, which have great potential here. Instead, you can also carry 24/35/50 mm primes along with the telephoto zoom. A polarizer is useful here to cut haze and glare, and saturate the colors. If you want to photograph the night sky, a stable tripod with cable release is essential. 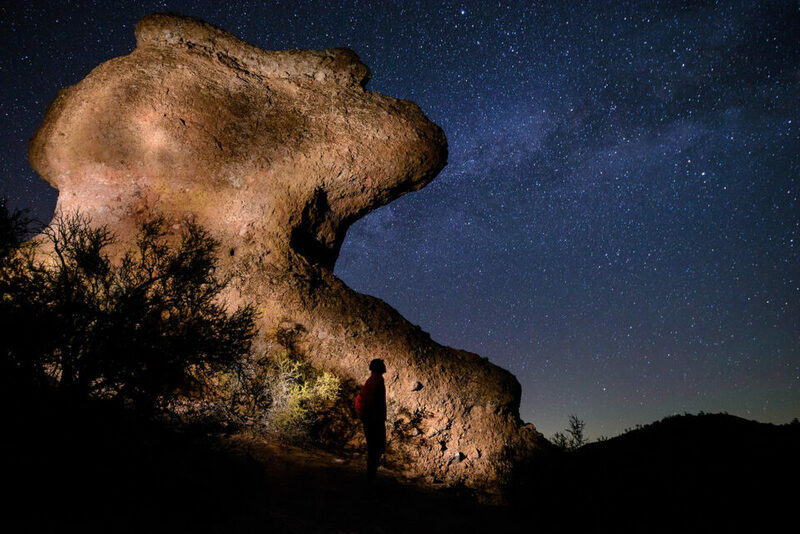 Hi… Could you please let know Which location in Pinnacles National park did you click the milky way picture? The location you provided seems to be that of a parking lot.. Which trail did you go up on?